Some spring shots in September…? The Autumn weather has really hit most of the UK and it definitely hasn’t left out Dundee. I would like to say I’m posting these photos in an effort to conjure up warm memories of the end of spring and early summer weather. I’m wanting to get these photos posted so I can concentrate on taking new photos as I’ve pretty much had a summer off and I’m wanting to get back to actually taking some new photos. So here are a couple of Asparagus dishes. The first one is a dead simple dish that for whatever reason I’d never got round to making before. 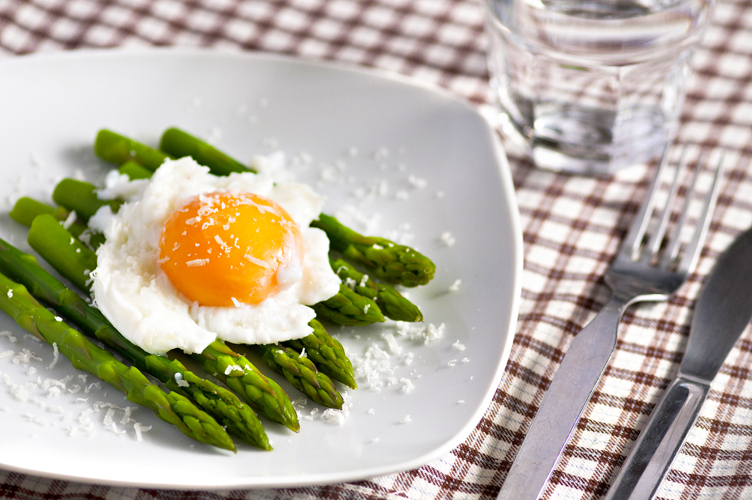 It’s as easy as grilling some asparagus, poaching an egg and grating some Parmesan cheese over it. Turns out it is pretty tasty! This second dish is one that I saw different variations of all over the place but I think the one I used was this. 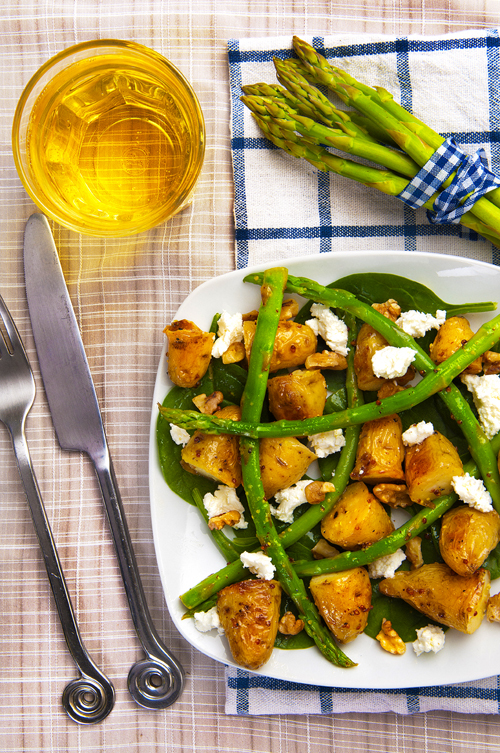 It’s blanched asparagus, roasted new potato (I actually used an Anya potato, purely because that’s what I could find when I was shopping), toasted walnuts, goats cheese and some spinach with a basic honey and mustard dressing over it. I left out the radishes as I didn’t really fancy them!